The book can be ordered at an e-mail address pavel.matocha@gmail.com Please give your full name, address and phone number. He defeated the world champion Alexander Alekhine and they became friends. Behind the chessboard he met with legends of the end 19th century and also with generation that was famous in seventies of twentieth century. 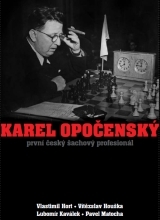 He founded the chess news agency, was an arbiter of world championship matches and the first Czech chess professional. Master Karel Opocensky also loved cigars, good French wine and women. The story of his colourful life is complemented by many previously unpublished photos, including pictures from an album of his daughter Eve and thirty games commented by grandmaster Vlastimil Hort. It has been issued by Prague chess society. Prague 2011. 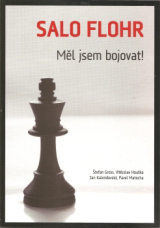 Legends of Czech chess have written a book about their chess and non-chess meetings with the most famous chess player of the chess history. Vlastimil Hort, Lubomir Kavalek and Ludek Pachman commented their own games and wrote memories of meetings with Bobby Fischer. 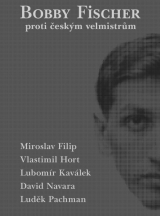 The game of Miroslav Filip was commented by the best Czech chess player David Navara, who also wrote down an epilogue „What I have learned from Bobby Fischer“. 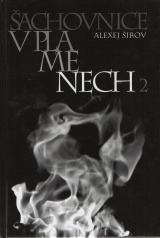 The book is full of pictures from that time and has been launched by Czech Prime Minister Jan Fischer. 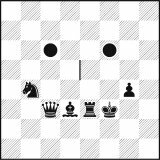 It has been issued by Prague chess society. Prague 2010. Biography of famous Czech chess player Salo Flohr, who through the fault of war could not play the World Championship match against Alexander Alekhine and who would celebrate 100 years in 2008. Texts about Salo Flohr and Flohr´s literature complement his games and also games from tournament played in his honour. These games from the tournament are commented by grandmasters David Navara, Zbynek Hracek, Viktor Laznicka and Robert Cvek and international master Jiri Jirka. It has been issued by Prague chess society. Prague 2009. Colourful catalogue of chess cartoons on theme of chess includes 61 pictures from thirty authors, among them are even famous authors as Jiri Sliva, Miroslav Bartak or Jan Hruby. 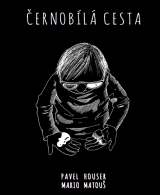 The catalogue has been issued to the same named exhibition and competition that was organized by Prague chess society with Czech union of cartoonists and was installed in May 2008 in Prague in hotel Best Western Kampa and in December 2008 in Mariensbad in hotel Cristal Palace. The competition “Silent checkmate”, in which forty competitors with more than a hundred works took part, won Lubomir Lichy. It has been issued by Prague chess society. Prague 2008. A tournament brochure about the strongest attended tournament in the history of the Czech Republic including Czechoslovakia. 17th category Czech Coal Carlsbad Chess Tournament 2007 took place in September 2007 at Karlovy Vary and was attended by Ponomariov, Akopian, Shirov, Movsesian, Navara, Kortchnoi, Timman and Laznicka. 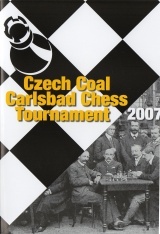 Apart from information about the tournament and portraits of the players, it also covers history of chess in spa towns and the first international tournament in Czech lands (Karlovy Vary 1907). A selection of the best games of Latvian-Spanish Grandmaster Alexei Shirov from the last years of his top career, it contains 55 games with his own comments. Shirov is regarded as one of the most original chessplayers and as a successor of the genial master Michail Tal. Czech audience could have seen him several times, including at two festivals organized by Prague Chess Society, where he competed against the Czech number one, David Navara. 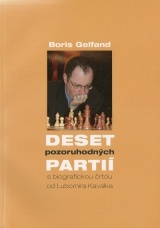 The book by a Grandmaster Boris Gelfand, Ten extraordinary games, contains a selection of the most interesting games from the up to now career of this player, who belongs to the world’s top first ten. Each game is commented on and explained in details by Boris Gelfand. His opponents were top Grandmasters such as Garry Kasparov, Anatolii Karpov, Veselin Topalov, Alexei Shirov or Peter Leko. Short opening bibliography of this Byelorussian-Israeli chessplayer was written by Grandmaster Lubomir Kavalek, who fifteen years ago had been preparing Grandmaster Nigel Short for the match with Boris Gelfand.